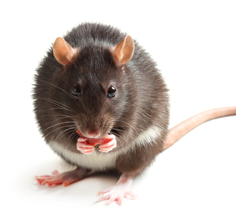 Mazuri® Rodent Breeder Description: A diet designed for feeding rats and mice which are maintained in breeding colonies. High producing mice may benefit from using Mazuri® Mouse Breeder 9F. zinc sulfate, calcium iodate, cobalt carbonate. any time. Arrange feeders so that animals cannot contaminate feed with feces. Always provide animal with plenty of fresh, clean water. *Relevant research information: Headon, D.R. and K.A. Dawson, 1990. Yucca extract controls atmospheric ammonia levels. Feedstuffs. 62:15-16.1/13/14 5M30-RHI-W/Tg 15. Mazuri® Rodent Breeder 6F. For colder), dry (approximately 50% RH) location. Use within 1 year of bag manufacturing. varies, analyses will vary accordingly. Calculated using Atwater factors – 4 kcal/g carbohydrate, 9 kcal/g fat, 4 kcal/g protein. Mazuri® is a registered trademark of Purina Mills, LLC.